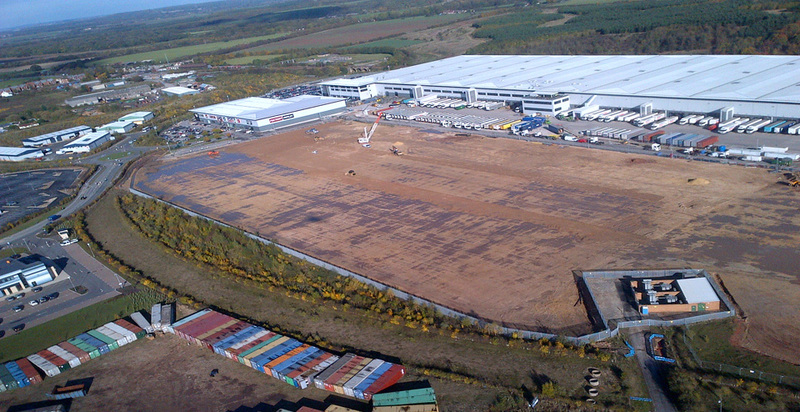 The project was a 2 phase package of works involving major earthworks and ground stabilisation in preparation for a new Sports Direct distribution facility and smaller retail unit, as part of the company’s ongoing expansion. 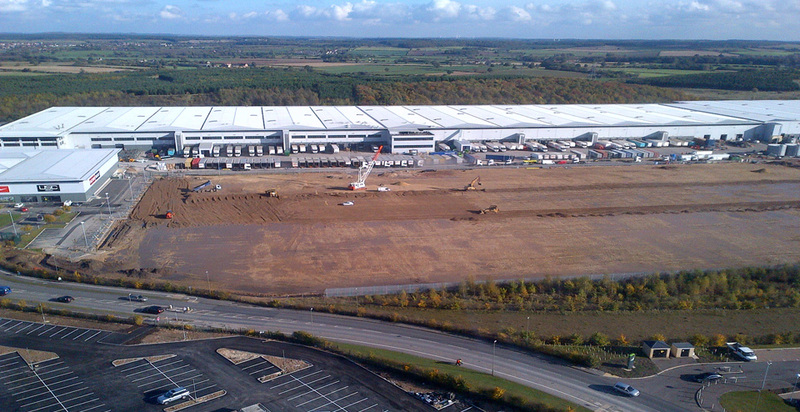 The scheme also included a number of service diversions which were made more complex due to works being located adjacent to the existing live office and warehouse facility. 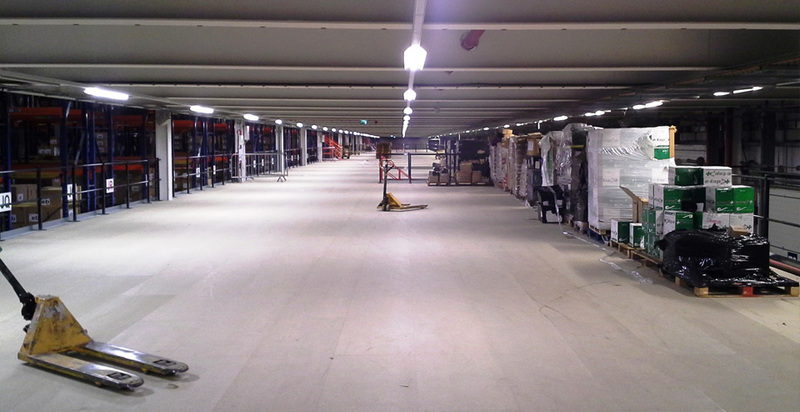 The second phase of works involved the refurbishment and reconfiguration of an existing distribution unit to include new mezzanine floors and internal lighting, as well as new fire alarms and a sprinkler system. The scheme was made more difficult due to the works being undertaken up to and over the Christmas period, which is the busiest time of the year for Sports Direct. The logistics were managed to ensure there was no disruption to the warehouse and distribution facility. Measures such as organizing timed deliveries to avoid congestion at peak times, such as the change of shift, and when the Sports Direct distribution fleet were dispatched. We also undertook work out of normal working hours to overcome any potential for disruption. Following completion, G F Tomlinson were awarded 10 out of 10 from a Client Satisfaction Survey conducted.